The 2016 NFL season’s first two weeks are in the books, which means it’s time to look at Week 3’s picks against the spread. 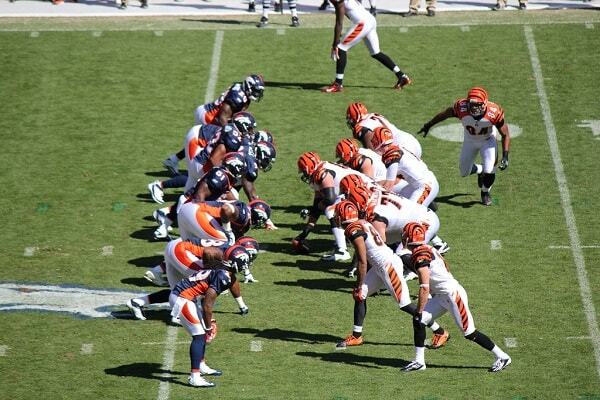 Early Sunday afternoon, we have a battle among two AFC favorites in the Denver Broncos and Cincinnati Bengals. Who has the best odds in this one? This game has a chance to be a really good one overall. The Broncos with young Trevor Siemian have already played the Carolina Panthers and Indianapolis Colts so far this season, and are 2-0 behind a dominant defense and opportunistic offense. The Bengals, meanwhile, are coming off of two tough games against the New York Jets — a one-point victory — and the Pittsburgh Steelers — an eight-point loss on the road. Both of these teams have championship-level talent; the big question is, how good can this Broncos team be with Siemian at quarterback? So far, the running game of Denver has been solid, but this offense hasn’t played against a great defense away from home. This will be their first test on the road, and it’ll be a major one at that. Yes, the Bengals lost in Week 2 to their AFC North rivals, but they only allowed 24 points to the vaunted Steelers offense. If Pittsburgh could only score 24, how many can this Broncos team put up? And, ultimately, will it be enough? No matter who wins this game, it’s going to be a close one. The Broncos defense is going to keep them in this game virtually no matter what. Cincinnati’s offense is pretty darn good, but it isn’t good enough to blowout Denver. To start this year, after all, the running game has been struggling mightily, and while Andy Dalton has started 2016 where he left off in 2015 prior to his thumb injury, it’s going to be extremely tough if they are indeed made one-dimensional. As for the Broncos offense against this Bengals defense, Cincy isn’t to be taken lightly either. This unit has been in the top 10 of the league for four of the last five seasons. In Weeks 1 and 2, the Bengals allowed only 22 points to the Jets and 24 to the Steelers — two high-powered offenses. Siemian hasn’t been bad by any stretch, but he also has had the benefit of playing two home games where they were able to establish a productive ground game. That’s no guarantee on the road against the Bengals who have allowed just 2.9 yards per carry to DeAngelo Williams last week. Bets to Make: the Bengals are given the home-field advantage in this one as three-point favorites, and for good reason. However, this is going to be a tight contest — it’s a safer bet to take the points and trust this Broncos defense. Also, take the under, as it should be low-scoring as well.